Craig’s career started in 1992 as a marketing graduate at Thomson Holidays. Craig joined Virgin in 1997 as Product Manager and after launching thetrainline.com, became Sales and Marketing Director, Virgin Trains. 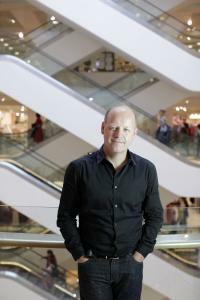 He joined John Lewis as Marketing Director in 2008, where he presided over the retailer’s customer and marketing strategies, helping drive six years of sales and market growth gains in every category. He’s probably best known for delivering high profile campaigns including ‘Always A Woman’ in 2010 to re-launch John Lewis’ ‘Never Knowingly Undersold’ policy, as well as a series of famous Christmas campaigns like ‘The Long Wait’, ‘The Snowman’s Journey’, ‘The Bear and the Hare’ and the most talked about campaign of 2014 ‘Monty and Mabel, followed by Man in the Moon in 2015. The brand has gone from strength to strength, winning numerous awards including the Marketing Society’s Brand of the Year in 2010 & 2011, the IPA Effectiveness Grand Prix 2012, the Marketing Society Award for Long Term Marketing 2012 and Cannes Lions Golds in 2013 and 2015. In September, Craig was promoted to Customer Director on the John Lewis Management Board and added customer experience to his responsibilities for brand, marketing and CSR.